How did Liopleurodon get its Name? Home/Educational Activities, Everything Dinosaur News and Updates, Main Page/How did Liopleurodon get its Name? One of the Everything Dinosaur team members was asked the other day what the name of the large Jurassic, Pliosaur Liopleurodon means and how this fierce carnivore got to be named. We tend to get asked a lot of questions about this particular prehistoric animal, it remains extremely popular after it was “tagged” with the title of the biggest carnivore of all time. Liopleurodon was featured in one of the BBC’s “Walking with Dinosaurs” episodes (episode 3 – The Cruel Sea), the documentary claimed that this marine reptile was up to 25 metres long and would have weighed as much as 150 tonnes. These statistics, although impressive, are difficult to confirm using the existing fossil record, but for young fans of the TV series, Liopleurodon remains a real star. Liopleurodon was a fierce meat-eating, aquatic reptile of the Jurassic period. A number of species of Liopleurodon are now known, but the fossils of this animal are extremely rare and many of the examples scientists have are poorly preserved. 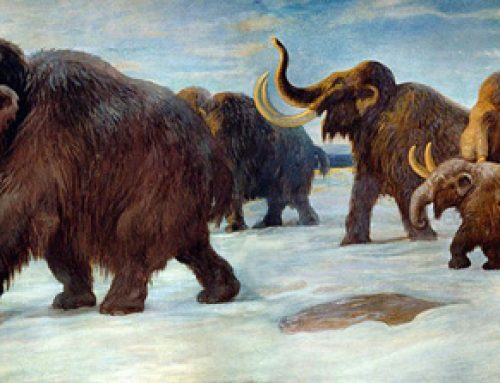 It was very probably the apex predator in its environment and as a consequence; there would have been fewer individuals in any one area compared to other animals in the food chain. As a result, the fossils of such creatures are extremely rare. The best-known species (Liopleurodon ferox); was first named and described by the French palaeontologist H.E. Sauvage in 1873. The holotype of this animal, the specimen on which the original description of Liopleurodon ferox is based is actually a single tooth. The smooth sides of this tooth gave Liopleurodon its name. The name Liopleurodon means “smooth-sided tooth”. The drawing above shows a Liopleurodon to scale with a human being, had this animal reached the lengths claimed by the BBC production team. The colouration on the model of Liopleurodon we stock is very striking. We have advised a lot of people on the way in which this large predator may have looked but the colours depicted are pure speculation. We do try to base our work on some scientific principles and evidence seen in extant creatures today. For example, study of Liopleurodon and other Pliosaur skull material indicates that the eyes were positioned towards the top of the skull. This would have helped Liopleurodon ambush its prey by attacking them from below, in much the same way as Great White sharks attack seals today. We presume that this large animal, hid in the depths and then propelled itself upwards at a target animal such as an Ichthyosaur. The four powerful flippers provided fast acceleration and the strong jaws equipped with large teeth (some up to 18 inches long), were capable of delivering a very powerful bite. The dark markings on the top of the animal would help camouflage this large creature and break up its shape when viewed from above. The white underbelly would have been almost invisible against the sun dappled surface waters, if viewed from below.